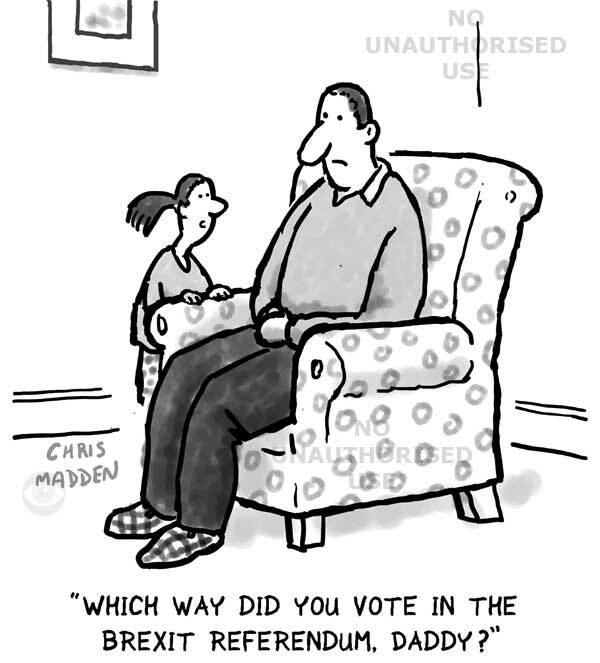 How did you vote in the Brexit referendum, Daddy? A cartoon showing a man who is regretting voting for Britain to leave the EU in the 2016 referendum. The image is partly a comment on the extreme criticism of ‘leave’ voters by those who voted to stay in the EU.